...The amazing availability of incredible-tasting seafood in New Zealand. And it's practically free if you're prepared to go out and catch it yourself. fishing, as a hobby, is not free! But it can be rewarding! ...I'm thankful for a man who loves to, not only catch fish, but cook them too! He truly is a genius with fish! Looking forward to dinner tonight! Ooooh yummmmy! 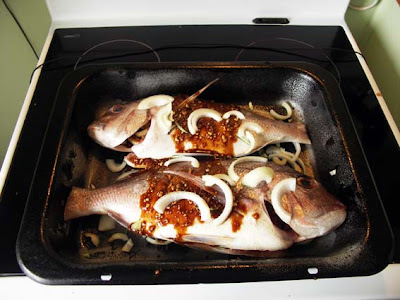 I love snapper, best these tasted delish. We have friends staying from Auckland with their big boat. 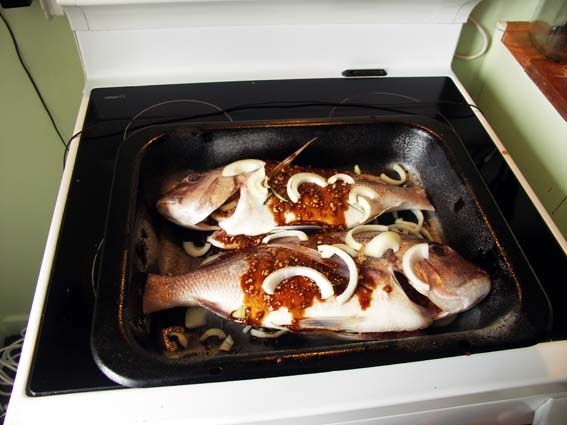 So it's been fresh fish (snapper and Kingfish) as well as smoked fish too. Heaven - and all (practically) free! 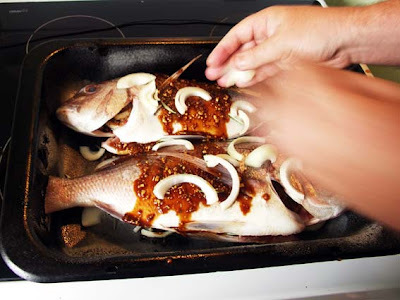 Looks so good...I do miss NZ fish, even though we only had terakihi from the fish and chip shop on Friday nights when I was growing up in Auckland! When I was working I'd often pick a lovely piece of schnapper up and grill it for dinner...the best!! @Carol - we still visit the fish and chip shop - but fish has gotten VERY expensive! So we catch them and then go and buy the chips. It's one of those very cool iconic kiwi things to do that I absolutely love! 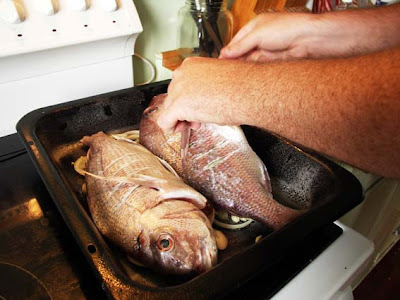 Nothing better than fresh snapper for dinner!